Aka “Formica”, has been around for more than 60 years. And although still being used today as the most economical of surfaces, it has come a long way with regard to aesthetics and versatility. Its beauty allows it to compete even in the most upscale of environments. 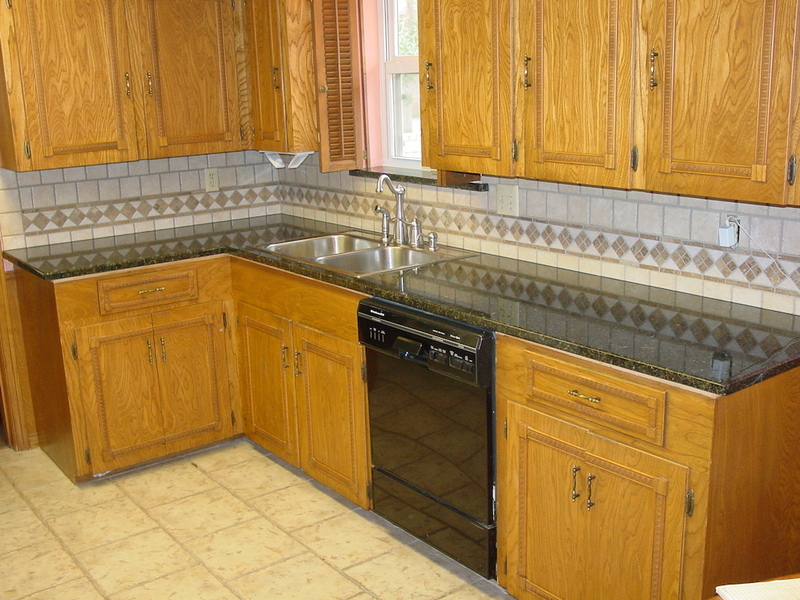 Categorically, there are two primary types of laminate counter tops: post-formed, and custom. Post-formed are the types one often sees that can bought off the shelf at the home centers. They have the characteristic “rolled” front edge, and often an integrated back splash. These tops are ideal for the do-it-yourselfer, but are narrowly limited in the types of kitchen configurations they can be installed in since they require special cutting saws to cut the corners. Also, the types of seams used to join the tops can be an eye sore where often water damage occurs. For this reason, we do not offer post-formed tops. If you have a rough drawing of the lay-out of your kitchen, and dimensions, we can often give you a close estimate of the cost of your tops. Or, we can visit your home and offer you an estimate. Once you’ve chosen the laminate color and style, we can schedule an install date. Once the tops are built in our shop, in most cases the installation can be made in one day, so you have little to no down time. We offer laminates from local distributors such as Wilsonart , Formica, Pionite, Nevamar, and Arborite. With many of the newer laminate designs some even fool the experienced eye as many mimic natural stone, yet at a fraction of the price. There are several edge options available such as the standard square, beveled, and crescent edges. Laminate still provides the most economical surface for kitchens and bath vanities, while providing unmatched color and design options. 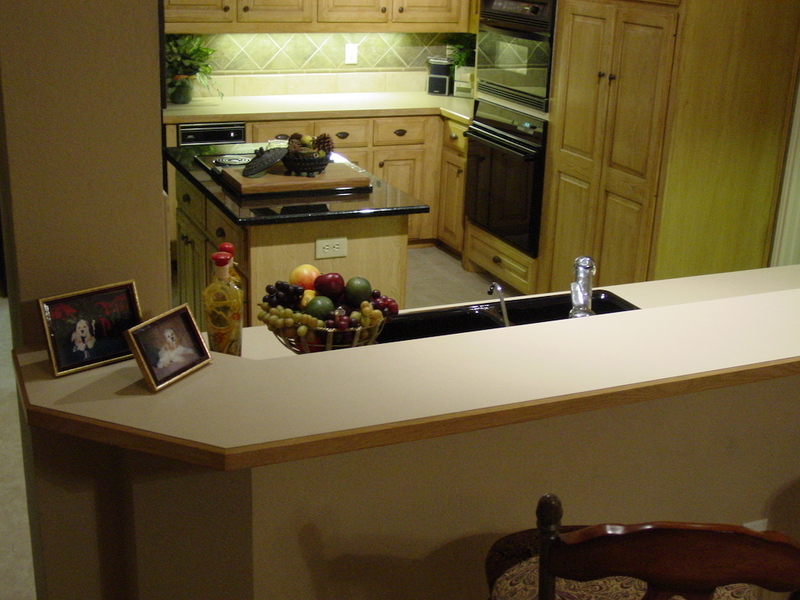 Solid surface counters were first created in an effort to offer more competitive and economical pricing vs granite counter tops, which were outside of many people’s budget. This acrylic material provides a non-porous surface which is easier to clean and maintain, yet offers the beauty and color selection of natural stone. It is a product which can be repaired, and allows for a perpetually renewable finish. 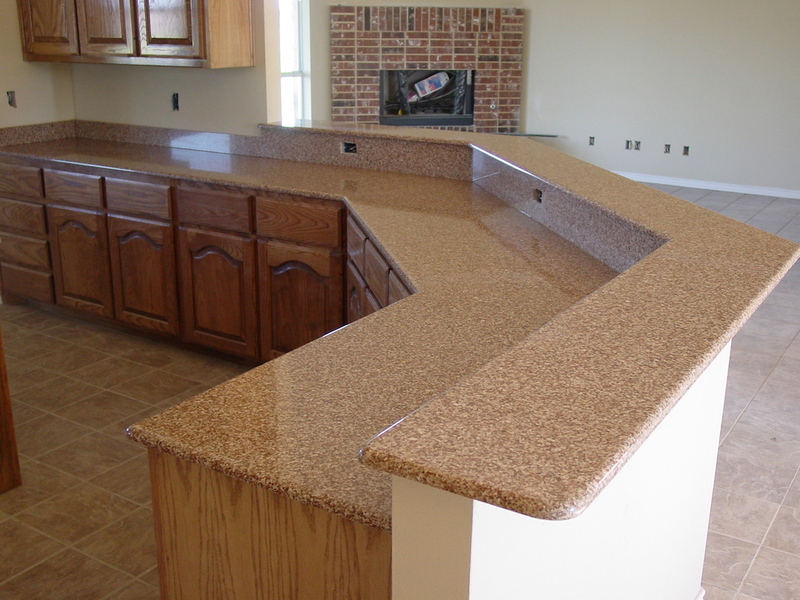 Local solid surface distributors that we offer include Staron, Meganite, Avonite, Gibraltar, Formica brand, and others. 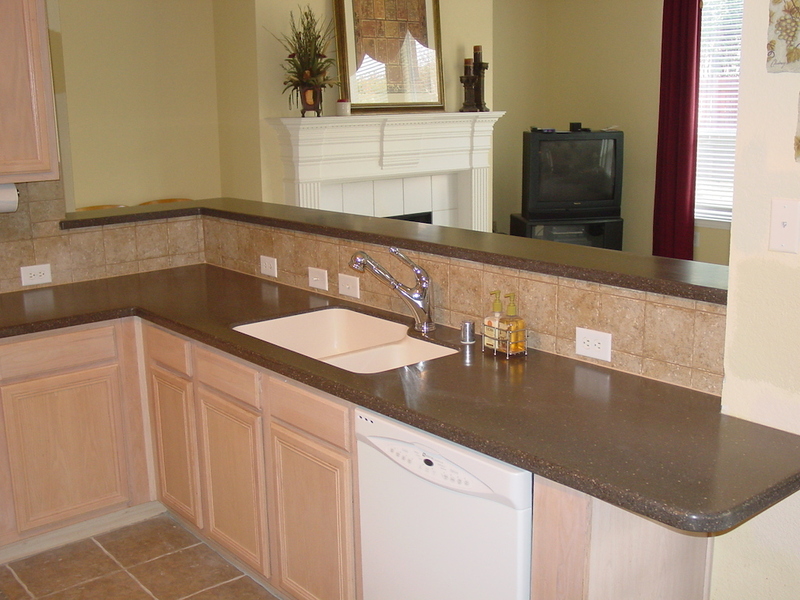 Many home owners think they have to have granite counter tops because “everyone else is doing it”. Not so. 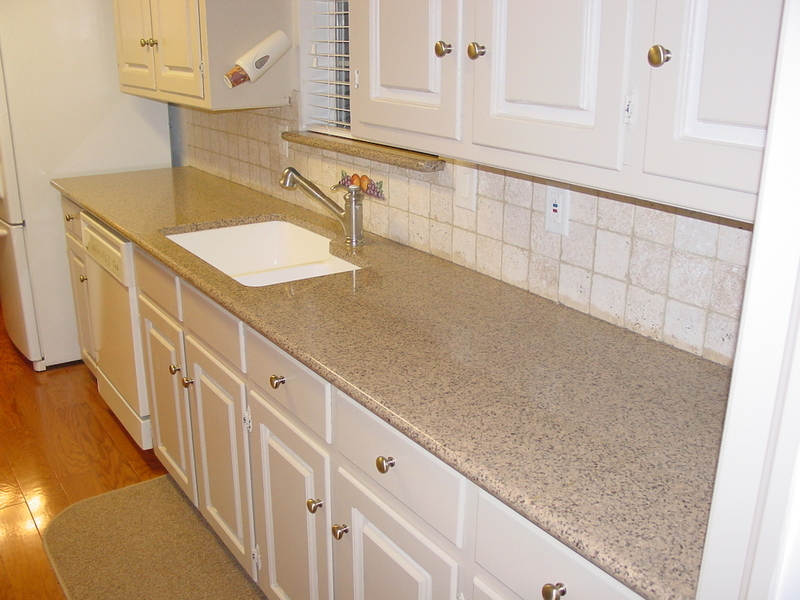 Keep in mind that granite generally requires more maintenance by keeping it sealed periodically to avoid staining. It is porous, so it is not as sanitary as laminate or solid surface, besides being 3 to 4 times the cost. However, for those interested in granite, we have samples of several popular species and can have your kitchen or commercial project fabricated. We can also point you in the right direction when it comes time to choose your own slabs as there are many slab yards locally where you can browse at your leisure. The skinny on pricing is plastic laminates remain the most cost effective, followed by solid surfaces which can be anywhere from 2 ½ + times the cost of laminate, while quartz and granite tops will generally be 3 to 4+ times the cost of laminate. This should give you some idea of the price differences to help you choose the option that fits your budget and needs.